This issue of Fresh to Market proudly wears the pink ribbon in honor of Breast Cancer Awareness Month. This light, refreshing and tasty recipe is sure to become a favorite! 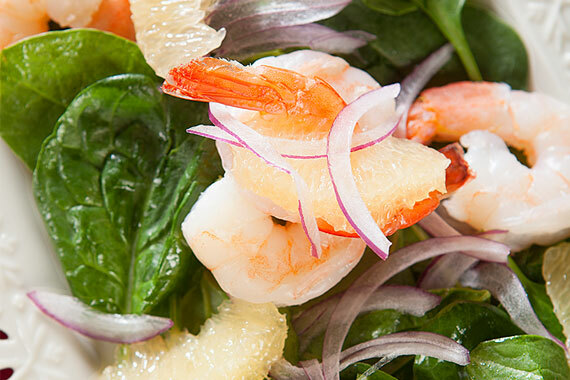 In honor of Breast Cancer Awareness Month, our Executive Chef added some pink to this salad using delicious wild-caught prawns. 16-20, $9.99/lb., Save $6/lb., Previously Frozen. 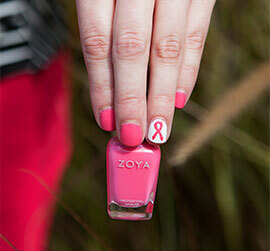 Honor the women in your life who have been affected by breast cancer with this pink ribbon inspired manicure. 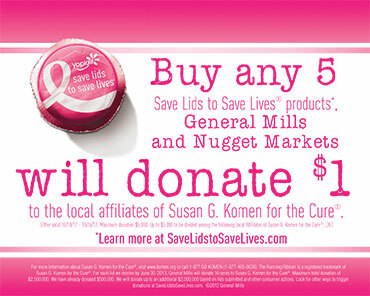 Buy any five Save Lids to Save Lives® products and General Mills on behalf of Nugget Markets will donate $1 to the local affiliates of Susan G. Komen for the Cure. Learn more at savelidstosavelives.com. 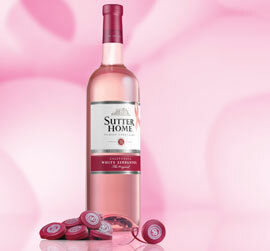 10/$5, save up to $5.90 on 10. Selected Varieties. 6 oz. Cup. 2/$5, Save up to $5.38 on 2. Selected Varieties. 11.75 - 17.3 oz. Package. 4/$5, Save $6.96 on 4. Selected Varieties. 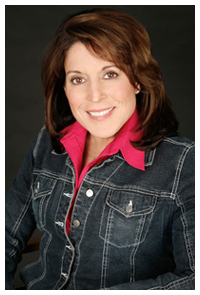 Go Girl Energy Drink is committed to raising funds for breast cancer research. Fifty cents of every case of Go Girl Sugar Free, Peach Tea, Pomegranate Blueberry Tea, and Lemon Drop Sugar Free is donated to breast cancer research, awareness and prevention. $6.99, Save $4. Original only. 6 pack/12 oz. Cans. Breast Cancer Awareness month reminds us that this all too common form of cancer impacts women of all ages: approximately one in nine will be afflicted. Research shows that diet during childhood as well as later in life can lower breast cancer risk and help protect from recurrence of cancer. Here are some simple diet and lifestyle strategies for protection. Eat low fat: Limiting fatty foods such as creamy sauces and heavy meats helps lower risk. Research suggests that low-fat diets inhibit rogue cancer cells from taking hold and spreading. Pile on the veggies: It may sound like a lot, but eating five servings (1/2 cup = serving) daily of colorful veggies, either raw or cooked, provides cancer-fighting compounds. Cruciferous vegetables such as broccoli, kale, and brussels sprouts contain indoles, which are one of the most potent cancer-blocking agents in foods. Aim for several servings of these veggies weekly. Keep body weight in check: Most women put on 2 or more pounds every year and this gain of excess body fat ups breast cancer risk. Scientists have made a connection with high body fat levels and the hormone estrogen, which promotes certain forms of breast cancer. Walking 30 to 60 minutes daily can lower cancer risk and help prevent the gain of extra pounds. 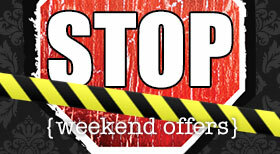 Sign up to receive a weekly email alert of our weekly specials, and receive advanced notice of our special weekend offers. Join us for a day of cheese! Make your whey through some of our favorite curds. On October 12 – 14 a wide variety of cheese makers, from around the world to our own backyard, will sample cheese from 12:30 p.m. – 7 p.m. Save 25% on all cheeses sampled throughout the weekend! Every week at participating Nugget Markets locations, we host delicious tastings at just $5/flight. Join us this week at one of the following Nugget Markets from 5 p.m. - 7 p.m.
Shopping for a gluten-free diet can be challenging, but fear not! Whether you're new to a gluten-free diet or simply looking for new products to add some variety to your meal planning, our gluten-free specialists are here to help! During the tour, we'll point out where to find gluten-free products on our aisles and share helpful tips about living a gluten-free life. Vacaville's North Bay Stand Down hosts a 3-day event at the Dixon Fairgrounds, where homeless and at-risk veterans and their families can receive guidance and professional assistance, meals, clothing, social services, medical attention, job assistance and more. We’re honored to support this important cause, helping to make life a little easier for our veterans in need. nbstanddown.org. Fresh to Market is a free, bi-weekly email publication of Nugget Market, Inc.
Prices valid October 10 - 16, 2012.